Riviera Nayarit Mexico Blog: Promo Tour Visits East Coast Of The U.S.
Promo Tour Visits East Coast Of The U.S. Approximately 415 sales and travel agents are currently receiving updates on the Riviera Nayarit and Puerto Vallarta in Boston, Morristown, Long Island and Philadelphia. The Promotions desks of the Riviera Nayarit Convention and Visitors Bureau (CVB) and the Puerto Vallarta Tourism Trust (Fidetur) together with the full support of the Mexico Tourism Board (MTB) are currently on a Promotional Tour of the East Coast of the United States from October 10 – 13, 2016. On October 10th in Boston, Massachusetts, 40 agents attended the seminar to get the latest updates on the destinations. On October 11th the team held a second presentation in Morristown, New Jersey, before the same number of agents. Another 50 agents are expected to attend the updates presentation on October 12th in New York’s Long Island. On the last day, October 13th, the team will be putting together three separate events in Philadelphia: a visit to wholesale tour operator Apple Vacations’ call center for 80 sales agents; a visit to tour operator Travel Impressions’ call center for 45 of their sales agents; and finally a seminar on both destinations for 60 of the city’s travel agents. 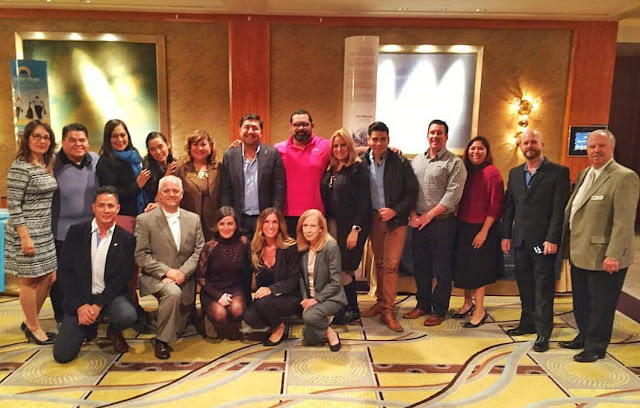 There were also 15 hotels from both destinations present at the seminars and presentations, as well as six of the top Tour Operators in the area such as Aeroméxico, Delta, Interjet and Volaris. Volaris, Interjet and Aeroméxico offer flights to Mexico City with connections to the destinations. Aeroméxico also offers the option of flying from Boston to the destinations with a stop at the nation’s capital. There are two winter season direct flights from this region: one from New York from JFK with Delta Airlines and another from New Jersey’s Newark Airport aboard United Airlines.